There’s an interesting quotation that appears on page 40 of “Profiles of the Founder” (開祖の横顔), a collection of interviews with students of Aikido Founder Morihei Ueshiba that was published in Japan in 2009 (it’s still only available in Japanese, so far as I know). The same quotation occurs numerous other places, but it happened to pop out at me when I read it this time. 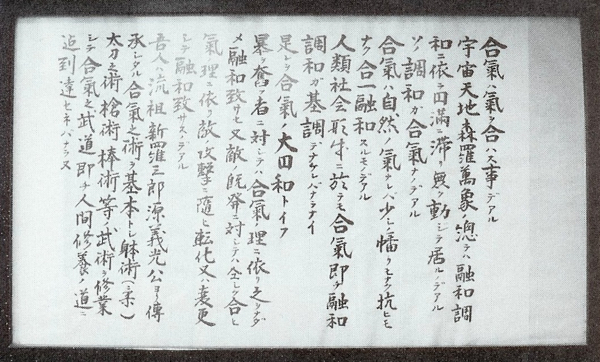 The quotation occurs in the interview with Morito Suganuma, who became an Uchi-deshi to the Founder in 1967, shortly before the Founder passed away in 1969. 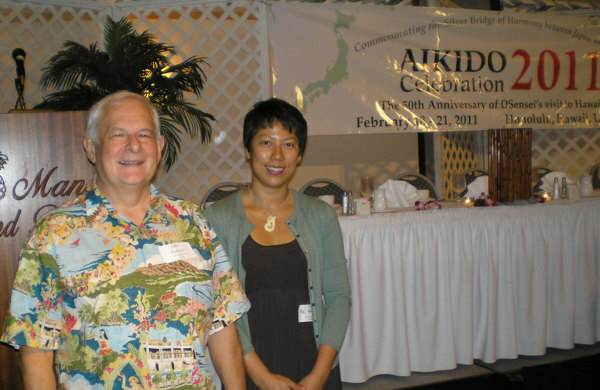 Suganuma came to Hawaii and visited Aikido of Hilo in September 2011. I first heard this quotation from Seishiro Endo some years ago, but as I said above it appears in a number of places. Morihei Ueshiba said that this quotation was one of the secrets (極意 / Gokui) of Aikido. The text of the quotation below is as cited by Suganuma. If it comes meet it, if it leaves, send it on its way, if it opposes then unify it. 5 and 5 are 10, 1 and 9 are 10, 2 and 8 are 10. The large suppresses all, the small enters the microscopic. The power of life and death. If it comes, then meet it, if it leaves, then send it away. If it resists, than harmonize it. 5 and 5 are 10. 2 and 8 are 10. 1 and 9 are 10. You should harmonize like this. The large suppresses all, the small enters the microscopic. There are chances for life and death, without reacting to changes. Approach things without moving your heart (without being disturbed). So now we have Rinjiro Shirata (via Stevens), Morito Suganuma and Seishiro Endo all presenting the same text. And, of course, Morihei Ueshiba. Morito Suganuma cited the quote as coming from Kiichi Hogen (鬼一法眼), which may even be correct (at least, the tales have it this way). Hogen is a legendary figure in Japan from the 1100’s, a teacher to the even more legendary Minamoto no Yoshitsune (of the Heike Monogatari). Fun Fact 1: this is about the same time that Daito-ryu was supposedly founded by Shinra Saburo Minamoto no Yoshimitsu. 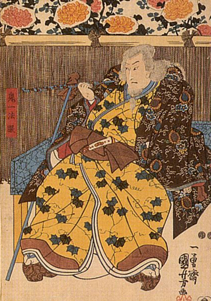 According to legend, Minamoto no Yoshitsune trained with Kiichi Hogen in the art of strategy. Kiichi’s daughter, Minatsuru eventually falls in love with him and he ends up using the daughter to steal some books of strategy (one of which I talk about below) and finishs by killing him. Fun Fact 2: Kiichi Hogen also had a reputation as an expert in Onmyodo, also called Inyodo (陰陽道), which is literally “The Way of In and Yo” (“In and Yo” = “Yin and Yang”, for the Chinese speakers). Fun Fact 3: Soemon Takeda, Sokaku Takeda’s grand-father, was reputed to have taught an art called “Aiki In Yo Ho” (“The Yin Yang Method of Aiki”). 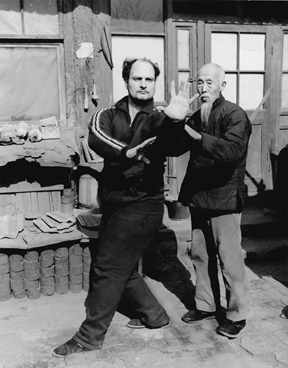 Fun Fact 4: When Henry Kono asked Morihei Ueshiba the question straight out, “How come we can’t do what you do?” the answer was equally straightforward: “Because you don’t understand “In” and “Yo” (“Yin” and “Yang”).” (from “Aikido Memoirs” by Alan Ruddock, a great read). So what does it mean? I’m not going to go into that in depth right now, except to point out the obvious references to “In” and “Yo” above. So why did you waste your time reading all this? Here’s my point. This quotation was cited not once, but multiple times, in oral and written transmissions, to be the secret of Aikido by no less than the Founder of Aikido himself, Morihei Ueshiba. That ought to make it pretty important, right? This quotation and its implications are in common use in the core teachings of at least two Koryu that I am aware of. That would mean that the secret of Aikido is not really all that secret, but is used and taught by others. Also, it would mean that said secret is not so new, that it has been used and taught by a number of schools and fighters in Japan for more than 900 years before Morihei Ueshiba was born. The quotation didn’t actually originate with Kiichi Hogen. 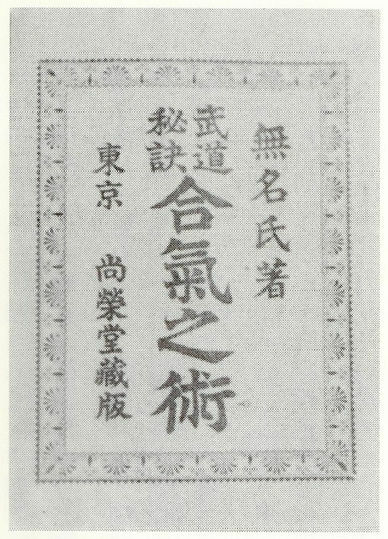 Hogen got it from the Tiger chapter of a book of Chinese strategy called the “Rikuto” (六韜 / “Liu Tao” for the Chinese speakers). That would mean that the secret of Aikido, as stated by Aikido Founder Morihei Ueshiba, is not only more than 900 years old, but originally came to Japan from China. Think about it now – if even one thing (something with Ueshiba himself said was important) came via China, than what else did (see Ellis Amdur’s “Hidden in Plain Sight” for a more detailed discussion of this very thing)? How will that change how we evaluate his writings and training? How will the established history and methodology of Aikido change when considered through the lens of greater knowledge? 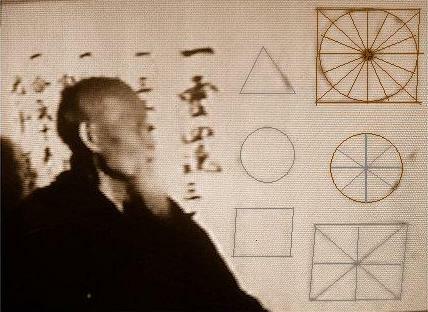 What if the things that Ueshiba did, instead of being very very new, were very very old? What if Aikido Founder Morihei Ueshiba was an internal martial artist in a community filled with students researching and developing the same principles with a tradition over a thousand years old in Japan – and an even older one in China? More on that later…but more on those interesting numbers in “Aikido without Peace or Harmony“, for those who are interested. Very interesting article. The links for Alan Ruddock and Elis Amdur come up with “not known” answers. Any idea of other ways to find out about these books please? Thanks Paddy, I relinked to Amazon. Alan has since passed away and his book was print-on-demand, so it may be difficult to find. There are still a few copies of “Hidden in Plain Sight” still floating around – but Ellis has a new edition in the works, I believe.